All Riverbend lakeside homes incorporate a building system that works together to create a highly energy-efficient exterior structure. Riverbend uses Advantage brand ICFs (insulated concrete forms), which is EPS (expanded polystyrene) foam with polypropylene webs, to quickly form and pour the foundation. To finish the home’s exterior, Riverbend uses Insulspan structural insulated panels (SIPs) for the walls and roof. SIPs are highly efficient panels made by laminating OSB (oriented strand board) on two sides of a large solid core of EPS (expanded polystyrene) insulation. When combined, the ICFs and SIPs increase the energy efficiency of your home. Riverbend’s Total Home SolutionSM process will guide you through all the stages of building your new waterfront timber home from design through construction. During this process, Riverbend designers will customize your selected floor plan to your unique needs. Once the design process is complete, your Riverbend project manager will coordinate your timber project starting with the fabrication of your timber frame, providing a seamless transition from design to manufacturing and finished construction. The Riverbend team can coordinate your home’s construction with your selected builder, help you find a builder, or manage the entire construction of your home. Designing and building your new lakeside timber home is easy when you work with Riverbend Timber Framing. 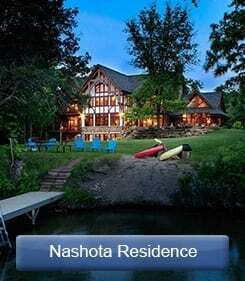 Contact us and enjoy your lakeside home soon.